A man has been cited after a crash in Pottsville on Tuesday. According to Police Chief Richard Wojciechowsky, on Tuesday, July 10th, around 5:30pm, emergency personnel were dispatched to the 500 Block of Laurel Blvd. for a reported accident. 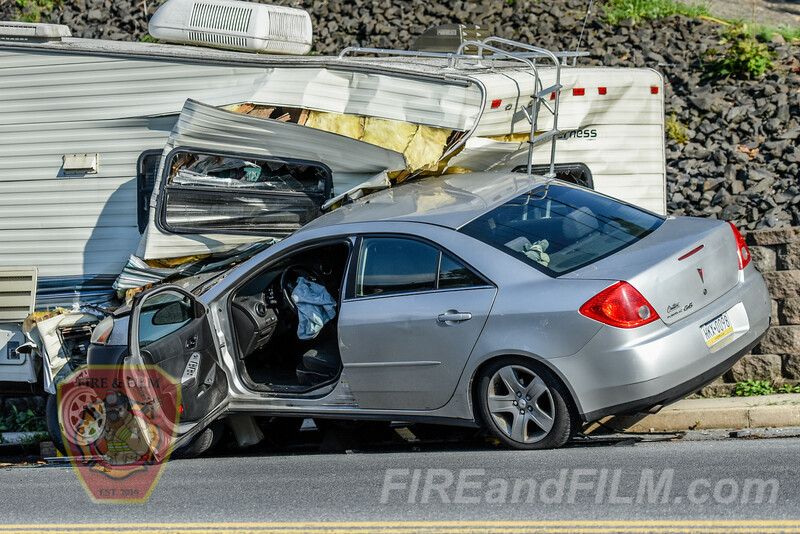 When officials arrived, they found a silver Pontiac Sedan that had crashed into a travel trailer that was legally parked on the south side of the street and the Pontiac was fully embedded into the trailer. 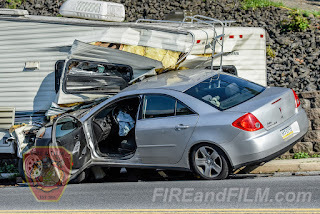 Patrolman Braden Jones spoke with Brandon Hoffman, 23, of Pottsville who had been driving the Pontiac at the time of the accident and he stated that he was attempting to answer a phone call on his cell phone when he drifted to the right side of the road striking the trailer. Hoffman received minor injuries and was transported by Schuylkill EMS to a local medical facility for treatment. During the course of the investigation, Jones learned that Hoffman did not have a valid operator’s license at the time of the accident and had not been wearing a seatbelt at the time of the accident. Jones is citing Hoffman for The PA vehicle code violations of Driving without a license, Careless driving, and Driving on Roadways Laned for Traffic. Pottsville Fire personnel assisted at the scene. Both the Pontiac and the travel trailer had to be towed from the scene.